Former publisher and owner of The Citizen newspaper, Karen Spang, died last Sunday after a 14-year battle with cancer. In an industry dominated by men, Karen Spang stood out as the publisher of Hamtramck’s former newspaper of record, The Citizen. She came from a newspaper family, and inherited her father’s gutsy nose for news. Karen Spang oversaw The Citizen, located for many years at Jos. Campau and Zinow, for about 20 years before retiring and selling the paper in 2002. Ms. Spang died on Sept. 1 at the age of 69 after battling cancer for 14 years. She is survived by her sister, Susan; son, Joseph (Jay); daughter, Ellen and three grandchildren. Ms. Spang steered The Citizen through some of Hamtramck’s most historical moments: The visit of Pope John Paul II in 1987 and numerous visits of presidents, vice presidents, major presidential candidates and a host of national celebrities. She did not shy away from funding in-depth investigative reports into leading political figures and institutions, which at times resulted in a backlash and advertising boycotts. Despite the challenges, Ms. Spang remained committed to journalism. It was under her guidance that The Citizen staff went on to win numerous awards from various journalism organizations. Ms. Spang was active in the Michigan Press Association and rose to become its first-ever female president. 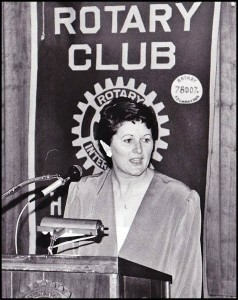 She also pioneered the role of women in local fraternal organizations, being one of the first women accepted as a Hamtramck Rotarian when the club was still strictly for men only. Besides hiring a number of interns and beginning journalists, Ms. Spang also mentored many local students. Ms. Spang took her journalism mission to Poland in June of 1987 when she covered Pope John Paul II’s third historical visit to his native land. The Polish authorities were none too pleased about the visit and the ensuing worldwide media scrutiny. The world waited to see if the Pope would acknowledge the Solidarity movement that had been struggling for several years to topple the long-hated communist government. It proved to be an electrifying moment in Poland, and Ms. Spang was there to help record that historic visit. The Citizen began in the 1930s, at the height of the Great Depression, when Ms. Spang’s father, Joe Kargol, invested his meager savings in a struggling paper. He weathered the Depression and grew the newspaper into one of the largest weeklies in the metro area. After Mr. Kargol died, his wife Frances took over. That’s when reporter Greg Kowalski started his career. Kowalski went on to become editor of a major suburban weekly and is the author of several books on Hamtramck. He is currently the Chairman of the Hamtramck Historical Commission. Kowalski recalled his first week on the job at The Citizen in the 1970s. It was the same week that Joe Kargol had died, and there was a question whether his wife, Frances, could handle her husband’s job. Without a doubt, she did. Kowalski also helped Ms. Spang transition into publisher when her mother retired in the 1980s. Another reporter who started out at The Citizen is Keely Kaleski, who some longtime readers will remember her by her married name, Keely Wygonik. She remembers Ms. Spang as a hands-on publisher who thrilled at the chase of a story. “I remember my first day on the job, there was a major fire in the city, and the editor had just quit. Karen grabbed her notebook, and said let’s go! Although she didn’t live in the city, Karen Spang was very much a part of it, and so was her staff at The Citizen,” Kaleski said. “We all worked long hours, because we cared about the city, and wanted to serve the community. 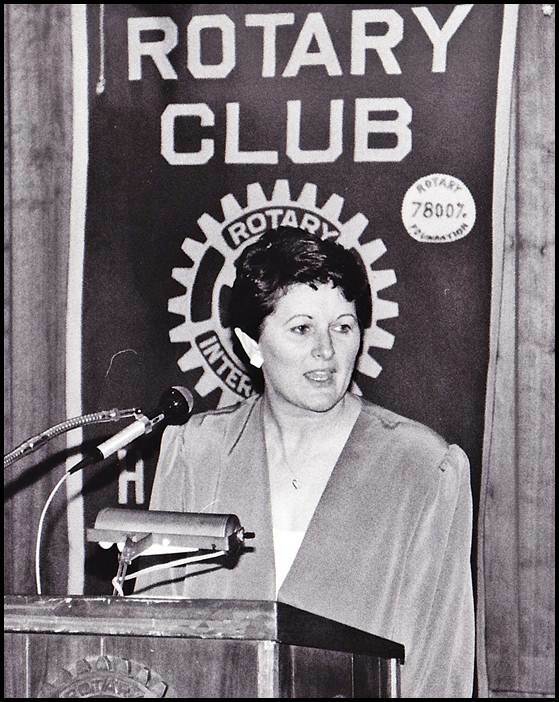 Karen was proud to be one of the first women accepted into the Hamtramck Rotary Club, and made it her business to know what was going on in town. Walter Wasacz, who used to write about sports in his teenage years for The Citizen and years later was hired on as a reporter, remembers Ms. Spang’s passion for newspapering. “Karen was one of the last of an increasingly rare breed of newspaper publisher — someone with a journalism background who understood journalists and the real value of their job,” said Wasacz, who is now managing editor for the online publication Model D in Detroit. After The Citizen was sold in 2002, the paper struggled financially for several years during a time when scores of newspapers across the country – both big and small — were going out of business. A third owner took over in 2007, but the paper finally closed its doors in 2009 – the year it should have been celebrating its 75th anniversary. There was no memorial service for Ms. Spang, although family members encourage her friends to make a donation to a charity or cause of their choice, if they so desire. For the past several years Ms. Spang was living in Traverse City. She died in her sleep while at her daughter’s house in Traverse City. Sending peaceful thoughts to Jay and Ellen. A very nice tribute, Chip…and a great photo. The Citizen lives on as a historical archive and through the memories of employees who really did feel as family. I agree with Greg, so much was learned.